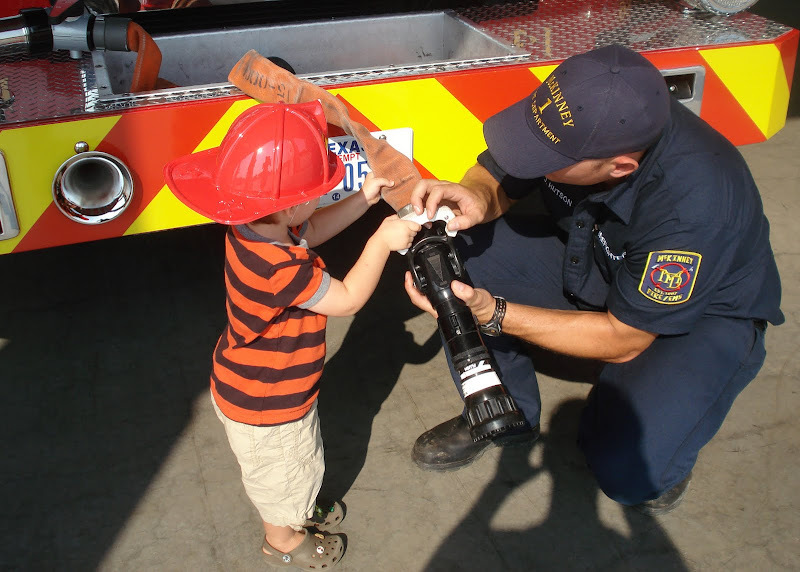 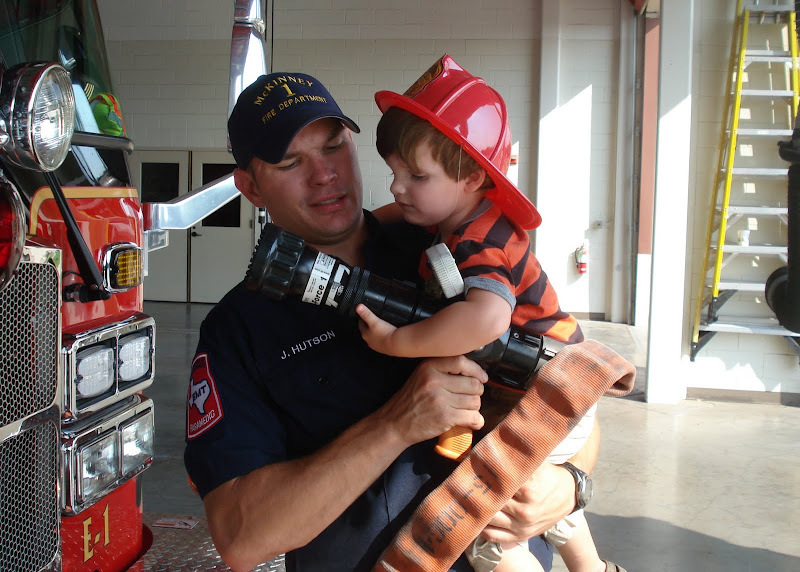 I came across my old "small" camera this week and found some pictures on it from back in August when Dave took Luke to the fire station to meet "Fireman Joel". 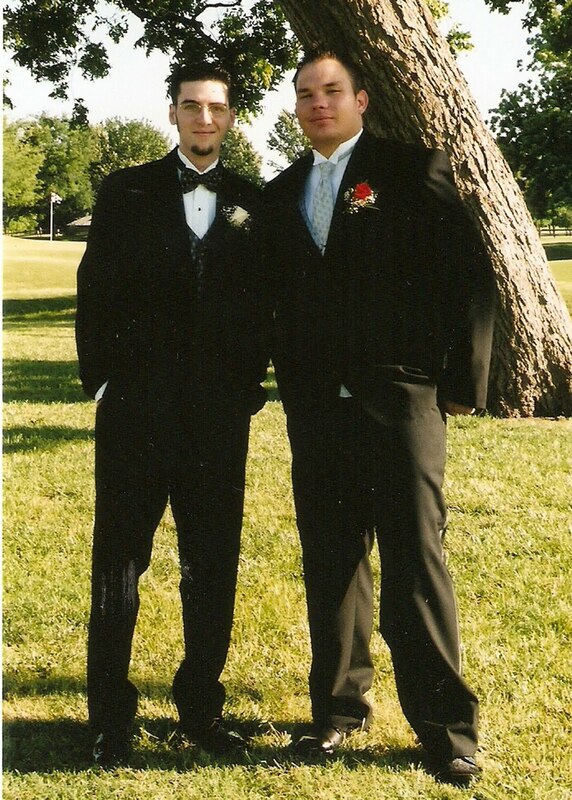 Dave and Joel have been friends since middle school and Luke liked him right away. 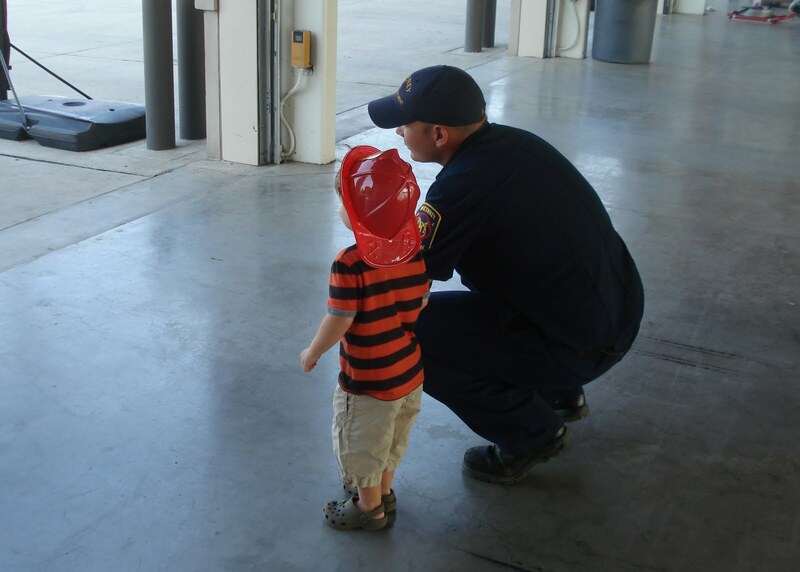 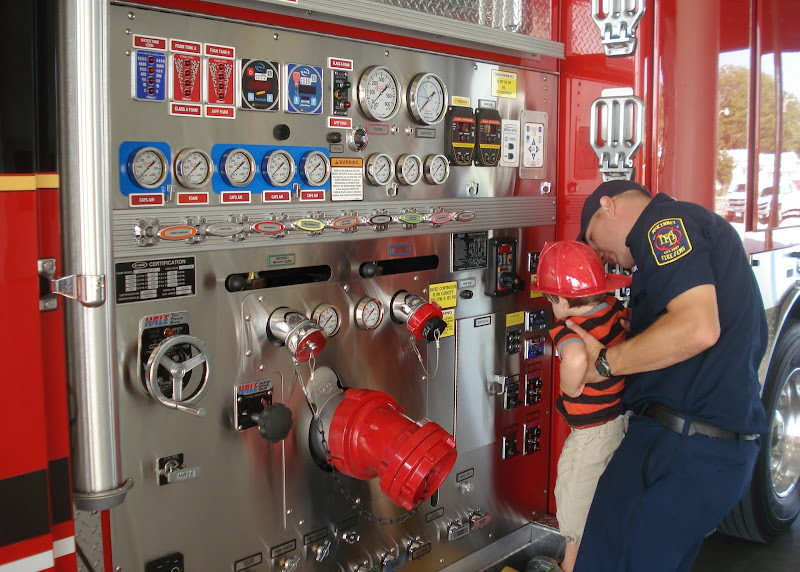 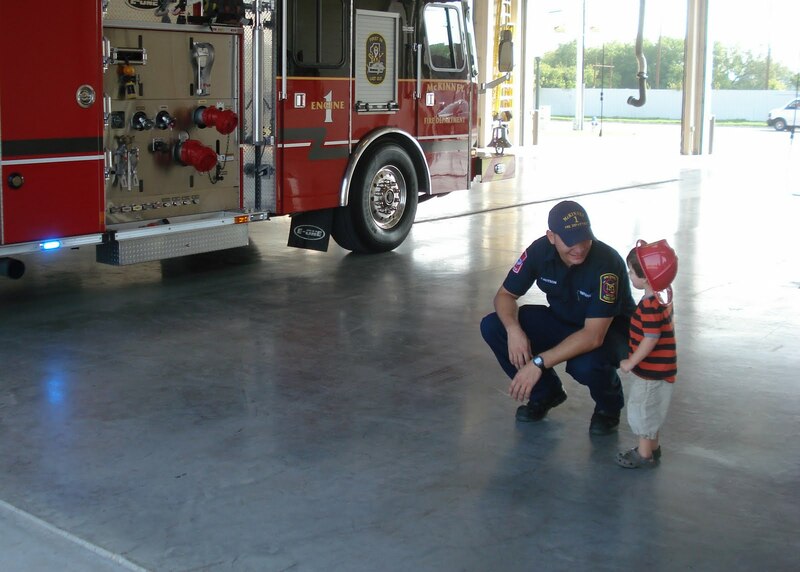 Joel gave them a tour of the firehouse and let Luke sit on the truck and hold the hose. 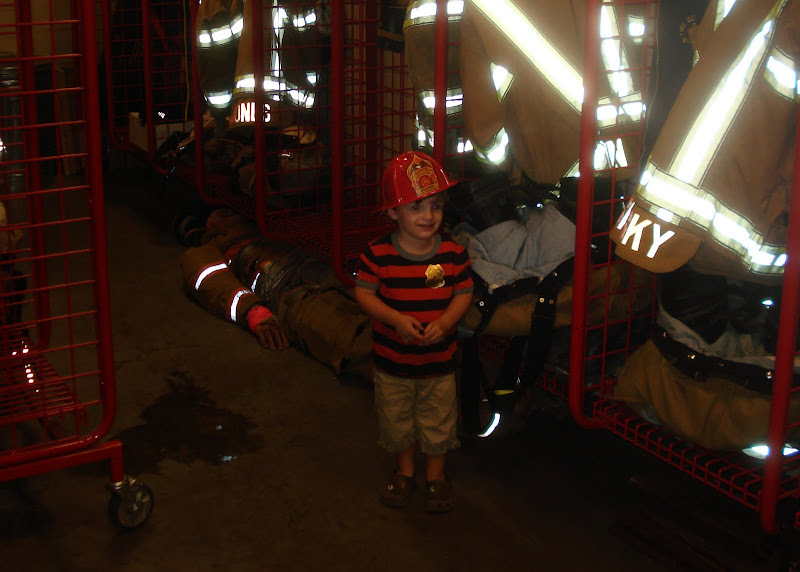 Luke had a blast and finding these pictures has inspired me to take both boys back to the station. 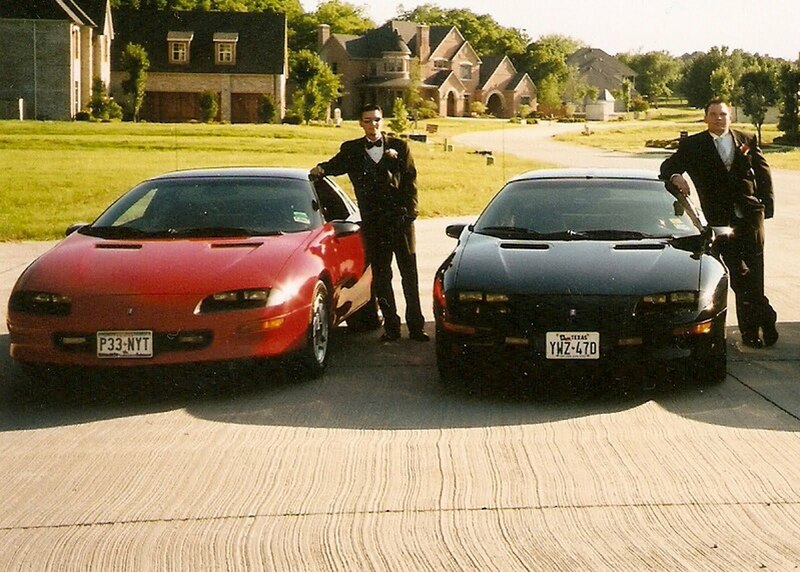 This is random, but here are some pictures from High School... 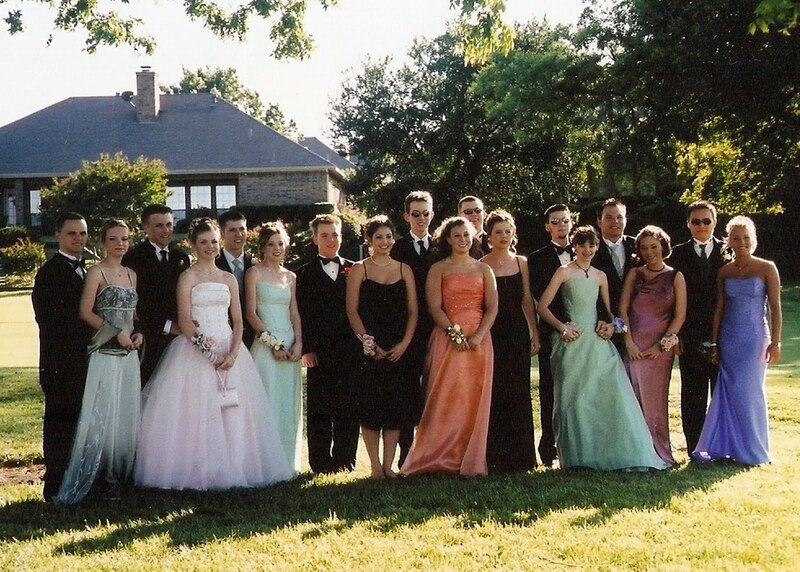 I'm the one in the green dress (and I'm with Dave) and Joel is to the right of Dave (his date is in the pink).